Teqplay @ChainPortHackathon: the finals and 3 prizes! Playing around with technology, thinking out of the box, driving innovation in order to build the port and the port community. That is what we love, that is what we do, that is what we are good at. And that is why we participated in the ChainPort Hackathon in Antwerp. On Thursday afternoon we left for the kick-off where the stakeholders pitched the challenges. Time for the brainstorm and we selected the Inter Port challenge. The ideas were validated with many stakeholders of the Antwerp Port Community. The input was valuable and strengthened our believe we could build the perfect solution. After the first night of hacking we headed to the hotel and went out for a beer. Friday a full day of hacking, build the business case and start with the presentation. We developed the Port-Insight concept. Based on AIS data we create a Single Point of Truth, we developed ETA and ETD predictors based on Machine learning that enable a real-time risk assessment of running into delay. Supporting visualizations and tools and calculation models were hacked together in the event. This is the result: an interactive dashboard that shows all vessels approaching Antwerp, it predicts the ETA, ETD’s and routes of the current vessels in ports. The machine learning algorithms determine the ETA and ETD’s and the confidence levels based on multiple sources. The sailed routes and the CO2-profile of vessels approaching the port is visible and the predicted routes and ETA’s of each vessel are shown, including the risk on running into delay. By dragging the slider you can see the history of the vessels and its future, route and ETA. For individual vessels speed can be adjusted and the new ETA is calculated, including the reduction of fuel cost and emissions saved. Potential constraints in the port are re-evaluated and potential reduction in risk is visible. All stakeholders can use the information to make better informed decisions and gain insight in new opportunities and potential for cost savings. 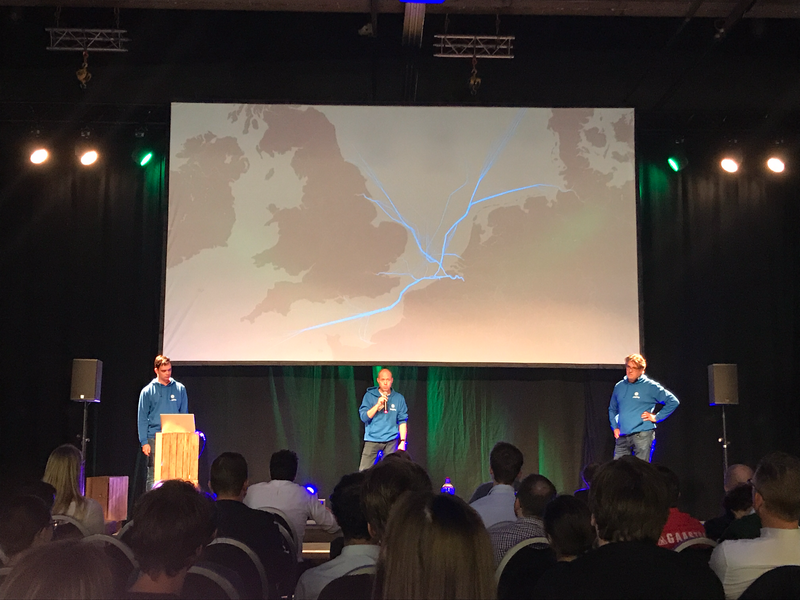 The team made it to the finals; Teqplay was the first to pitch on stage. Many great ideas were presented, the competition was tough. After a deliberation of the jury the prizes were announced. We managed to take three prizes home. It was a great event, we loved to be on stage and the pitching in the finals! Thanks to all participants, partners and sponsors of this event. We are looking forward to realize our ideas in the Port of Antwerp.